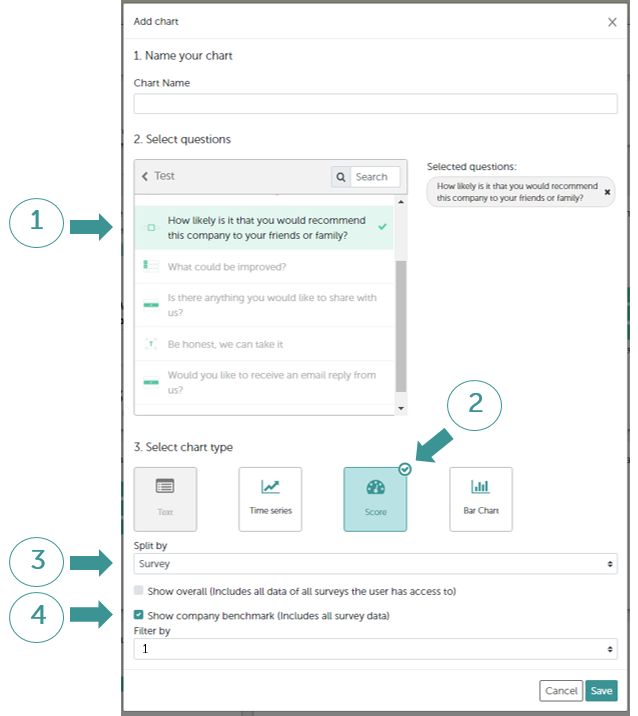 It is possible to compare the results of several surveys (or stores/events, depending on what the section is called in your specific case) in the dashboard. In addition, if you have created categories such as regions in your surveys, these can also be compared. Read how to create categories here. PLEASE NOTE: Only surveys (stores, events etc) using the same feedback form (questionnaire) can be compared. 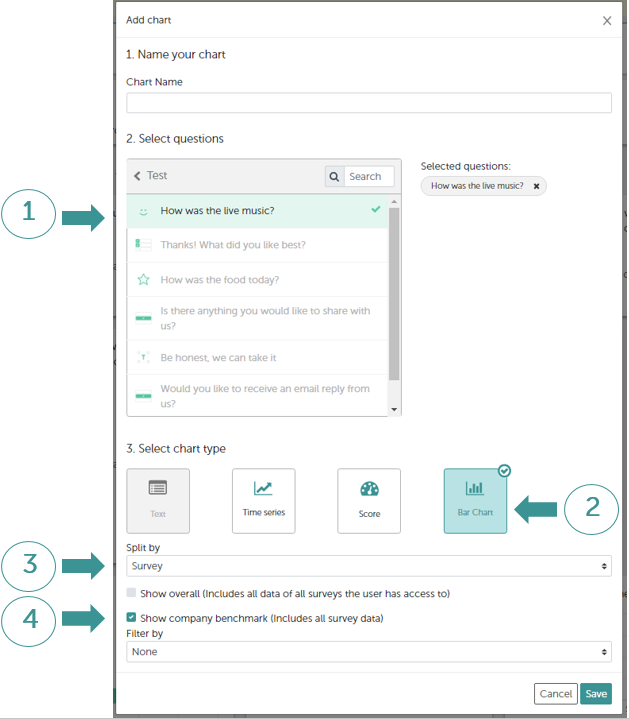 If you would prefer to split the chart by categories instead of surveys, as shown above, just select this from the drop-down list. 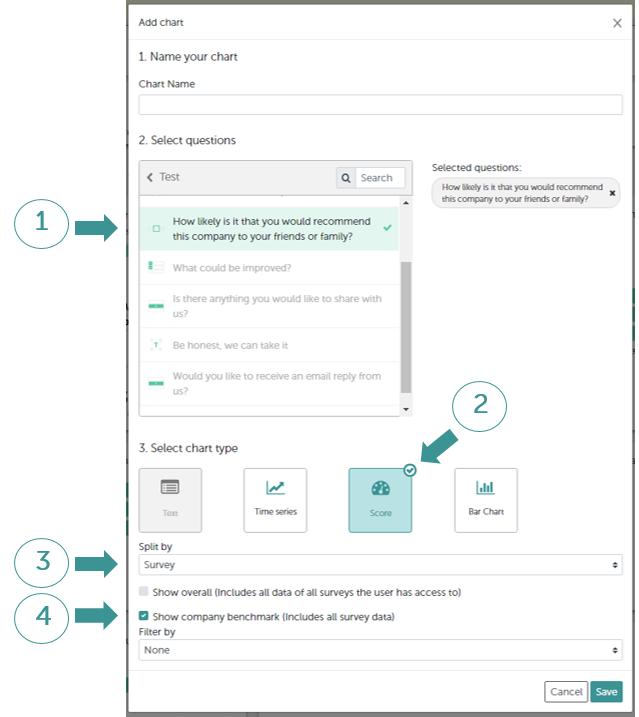 Administrators will of course have 2 identical lines for the total and company benchmark as they have access to all surveys. 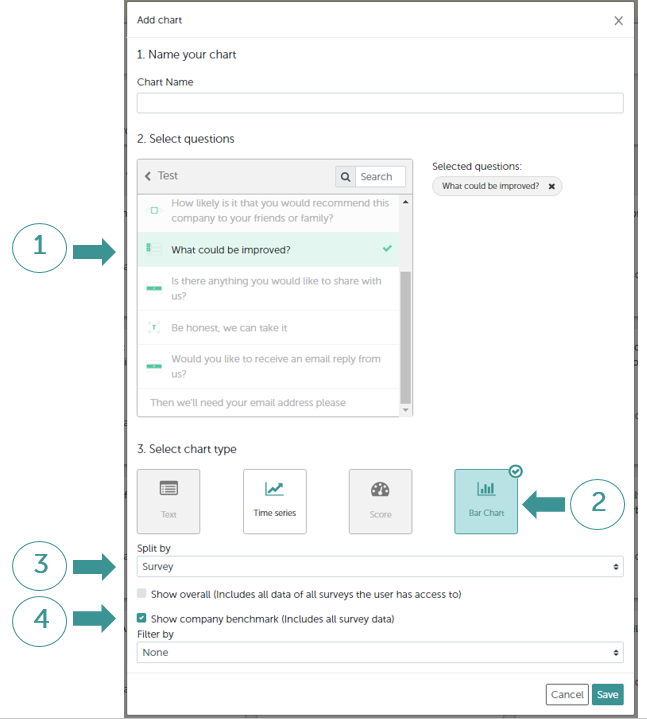 Again, if you would prefer to split the chart by categories instead of surveys, as shown above, just select this from the drop-down list (3). And just as before, ticking the "Show overall" box will display the "Total" results of all surveys the user has access to.